http://www.bloomberg.com/apps/news?pid=20601083&sid=aYsCpvi9m4H8 March 31 (Bloomberg) -- The dollar is losing its popularity as a funding currency in the carry trade, in which investors buy higher-yielding assets with amounts borrowed in nations with low interest rates, according to Ronald Leven, a senior currency strategist at Morgan Stanley. http://www.bloomberg.com/apps/news?pid=20601109&sid=a3NKXZe6aJPE&pos=11 March 30 (Bloomberg) -- Downtown Manhattan, where demand for office space began to surge three years after the 9/11 terrorist attacks, is about to lose its spot as the best- performing U.S. market. Vacancies may exceed 14 percent of the area's 87 million square feet by late 2011, empty space that's equivalent to four Empire State Buildings and the highest rate since 1997, according to property broker Cushman & Wakefield Inc. That doesn't include the 4.4 million square feet of offices in two towers now under construction at the World Trade Center site. Those are scheduled for completion in 2013.
http://www.ft.com/cms/s/0/c51fbbce-3908-11df-8970-00144feabdc0.html The bond vigilantes are finally flexing their muscles. A long period of stability for the US government bond market showed signs of cracking this week as a lack of investor appetite for new debt sent the benchmark 10-year yield to its highest level since last June. WASHINGTON (Dow Jones)--The self-regulatory group for the futures industry is urging the U.S. Commodity Futures Trading Commission to rethink its controversial proposal to reduce the amount of borrowed funds retail investors can use for trading foreign exchange contracts. In a letter sent this week to the CFTC, the National Futures Association said the CFTC should "reject a 'one size fits all' approach to establishing security deposit requirements." The NFA's own rules currently permit leverage of 100 to 1 for major currencies and 25 to 1 for the more exotic variety, but the CFTC is proposing a leverage cap at 10 to 1 for all currencies. Under such a drastic shift in the rules, a customer who normally puts up a security deposit of $1,000 cash to trade a notional amount of $100,000 would now only be able to control a contract size of $10,000. "Based upon currency risk and volatility factors, NFA believes that security deposit requirements should recognize differences between certain currencies," National Futures Association Senior Vice President Thomas Sexton wrote to the CFTC. "Therefore, NFA recommends that the Commission adopt an approach similar to NFA's current requirements that applies a different percentage to separate currency categories or groupings based on currency risk and volatility factors." The NFA is one of thousands of groups and individuals who have raised major questions about the CFTC's retail foreign exchange regulatory proposal in the past few months. The proposed new rules on leverage for retail forex traders is part of a broader plan to bring sweeping new regulations to the industry, including enhanced capital requirements and disclosure rules. If the new rules on leverage were approved by a majority vote of commissioners at the CFTC, investors would be required to put up more capital in their accounts or scale back their positions. The NFA in its letter was careful not to outright bash the CFTC's leverage proposal as many others have done. In fact, the NFA acknowledged that there are legitimate public policy concerns to justify rules governing security deposit requirements and those concerns also led the NFA last February to tighten its own rules on retail forex leverage. The 2009 rule changes came, the NFA said, after experience suggested that firms offering higher leverage were more often the subject of complaints, while two other firms offering leverage at 50 to 1 were never the subject of any enforcement actions. Such statistics indicate that "higher leverage ratios can lead to abuses," the NFA wrote, but that capping leverage at 100 to 1 or less also still allows firms to compete internationally. The leverage section of the CFTC's proposed rule has been vigorously opposed by everyone from lawmakers on Capitol Hill and major foreign exchange dealers to individual investors who have sent thousands of letters of protest to the CFTC. Most have argued that such a strict leverage rule will kill the U.S. market and force traders overseas where some markets may be less regulated. The comment period on the proposal expired on Monday, and now the CFTC must decide how to proceed. The NFA encouraged the CFTC to craft a policy on leverage that is flexible and would allow regulators to periodically review and adjust the requirements based on market developments. How many entrepreneurs do you think consider their venture to be a hobby? That is, their venture is one of a long list of things they are working on? Probably not too many — especially not many successful ones. Yet, that's how many companies treat their new growth businesses. How so? Many companies ask people to be part-time business builders. Consider companies that form "innovation teams" where members are expected to work on several businesses concurrently. Or companies that ask people to fit business-building efforts into their "spare" time. It's possible to be a valuable part-time contributor to a project. And it's possible to play a vital role in an innovation effort that closely adheres to a company's core business model. But building a truly new business can't be a part-time endeavor. There are simply too many challenges that require constant attention. Remember, most start up businesses fail, and that's with diligent, minute-by-minute attention from the founding team. At best, setting up growth initiatives in a fractionalized manner slows innovation substantially. At worst, this setup leads companies to veer in the wrong direction as part-time business builders implicitly slide back into known models that conform to the base business rather than explore the disruptive frontier. Leaders sometimes think this is a rewards problem. They will note how an entrepreneur who owns a startup business will just work harder because they are positioned to capture all of the economic returns. I think that's partially true. But the reality is that there is a big difference between waking up in the morning thinking only about a new business and waking up in the morning thinking about a range of different things, regardless of the rewards. It might seem hard to have scarce resources focus fully on a single opportunity. But the reality is, this single focus is by far the best approach to build a disruptive growth business. And it doesn't have to be a resource drain if you keep teams lean and focused (more on this in a future post when I talk about "Penrosian slack") and make reasonably quick decisions about shutting down, re-vectoring or accelerating businesses. Building a new business is hard enough as it is. Don't make it harder by asking people to be part-time business builders. http://www.independent.co.uk/news/business/news/berlusconi-euro-screwed-everyone-500629.html Silvio Berlusconi launched an astonishing attack on the euro yesterday when he blamed the Europe's single currency for Italy's economic woes in the starkest comments to date, saying it "screwed everybody". The Italian Prime Minister has frequently blamed the euro for pushing up prices and choking off exports. Yesterday the billionaire claimed that his main political foe, the former prime minister Romano Prodi, had brought Italy to the brink of disaster by negotiating bad terms for its entry into the single currency. He told a conference of his Forza Italia party: "Italy is not at a disastrous point, but I can say that Prodi's euro screwed us all," trying to score points against his opponent in the run up to the campaign for next year's general election. Mr Prodi, now the leader of the centre-left opposition which is leading in the opinion polls, was president of the European Commission until November. March 24 (Bloomberg) -- The euro slid to a 10-month low against the dollar, while stocks, commodities and Treasuries also retreated, as concern grew that Greece may default and Portugal's debt was downgraded by Fitch Ratings. The euro weakened against 15 of its 16 most-traded peers at 11:57 a.m. in New York. The MSCI World Index of stocks in 23 developed nations slid 0.9 percent and the Standard & Poor's 500 Index fell 0.4 percent, retreating from an 18-month high. The Reuters/Jefferies CRB Index of commodities fell to a five-week low as oil slid 1.6 percent, copper dropped 0.9 percent and lead tumbled 3.5 percent. The yield on the benchmark 10-year Treasury note rose 8 basis points to a one-month high of 3.77 percent. "We have access to literally $7 billion to loan you against your life insurance policy at Libor flat," Simmons said, referring to the London interbank offered rate, a lending benchmark that was set at 0.278 percent today. March 12 (Bloomberg) -- When money needs to talk in London, it's the lord mayor who speaks. Nick Anstee, the 682nd mayor of the U.K. capital's financial district, is battling politicians from all parties who blame the bankers and brokers he represents for wrecking the country's economy. Taxpayers assumed more than 800 billion pounds ($1.2 trillion) of liabilities to bail out financial firms, and an election must be held by June. "The taxpayer doesn't understand how critical the financial services industry is to them," Anstee, 51, said in an interview at his 252-year-old Mansion House residence opposite the Bank of England. "This absolutely overwhelming tide of negative attitudes has been brought about in taxpayers' minds." City of London chiefs have championed trade and challenged politicians for centuries. They befriended William the Conqueror, helped overthrow King Charles I and one backed U.S. founding father George Washington. Yet the top lobbyist for Britain's financial services industry isn't well-known in the square mile he presides over and where 6,000 companies operate. The lord mayor is an "invisible power" who Britons don't recognize as the representative of the banks they bailed out, said London Metropolitan University politics lecturer Maurice Glasman. He's campaigning to merge Anstee's government with that of Greater London Authority Mayor Boris Johnson, which was started in 2000 to represent the capital's 7.5 million people. http://myfxbook.wordpress.com/2010/03/07/developers-api-and-new-language-released/ The API allows programmatic access to your account's data, allowing to create iPhone/Android applications, Facebook applications, customized widgets and more. The API area is accessible from the bottom menu (http://www.myfxbook.com/api) . You'd think the Obama administration is busy enough controlling the banks, insurance companies and automakers, but thanks to whistleblowers at the Department of the Interior, we now learn they're planning to increase their control over energy-rich land in the West. The skype contact explorer is a companion for Skype that installs in Windows 7, XP, Server x. The companion is a powerful communication tool allowing you to maximize your skype account when using as your primary means of communication. Send messages faster, to more users. Tap the potential of the skype user base. Barack Obama's home state of Illinois is near the point of fiscal disintegration. http://www.bloomberg.com/apps/news?pid=20601103&sid=axVyZwMB3FVU Nov. 3 (Bloomberg) -- The U.S. dollar may appreciate 10 percent against the euro in one to three months, said Marc Faber, the publisher of the Gloom, Boom & Doom report. Elite E Services, Inc. is releasing its premier DRS system with other Expert Advisors for $99/month, including DRS CT hybrid scalping system, and access to eesfx.com. Columbia, SC, March 01, 2010 --(PR.com)-- Elite E Services announces the release of an automated hybrid scalping system for the Forex market. Developed for the meta trader 4 platform, this expert advisor is designed as an ultra-high frequency scalping strategy. 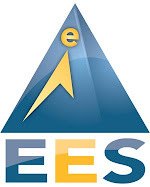 EES is including it with its other EAs for only $99/month. The strategy represents the core algorithm from the DRS system, which has been developed and traded over a period of years. "Traders need a suite of tools to succeed in the FX markets, the DRS CT Hybrid Scalping system can represent a part of that arsenal," says Joseph James Gelet, President of Elite E Services.